November has brought a few cooler mornings to greet the flock. Our local stores have enormous bags of quick oats that are not only delicious for the kids, but also provide a pick-me-up for the layers. I use approximately 5-6 cups of oats at a time; placed in a casserole dish. Boil water and add to moisten the oats, but I try not to make it watery. Then I top it off with a sprinkle of cinnamon. Turns out Kevin loves this morning treat too! Since she (yes, Kevin is a gal) didn’t get any the first day, I made her a special batch. This summer has passed with relatively few hot days. But on those days when the mercury is rising, we have used a few methods to keep the flock cool. To loosen any of the frozen treats, just run under warm water for a few minutes. During the hottest portion of the day, the gals will normally rest in the shade of the woods or under the deck. 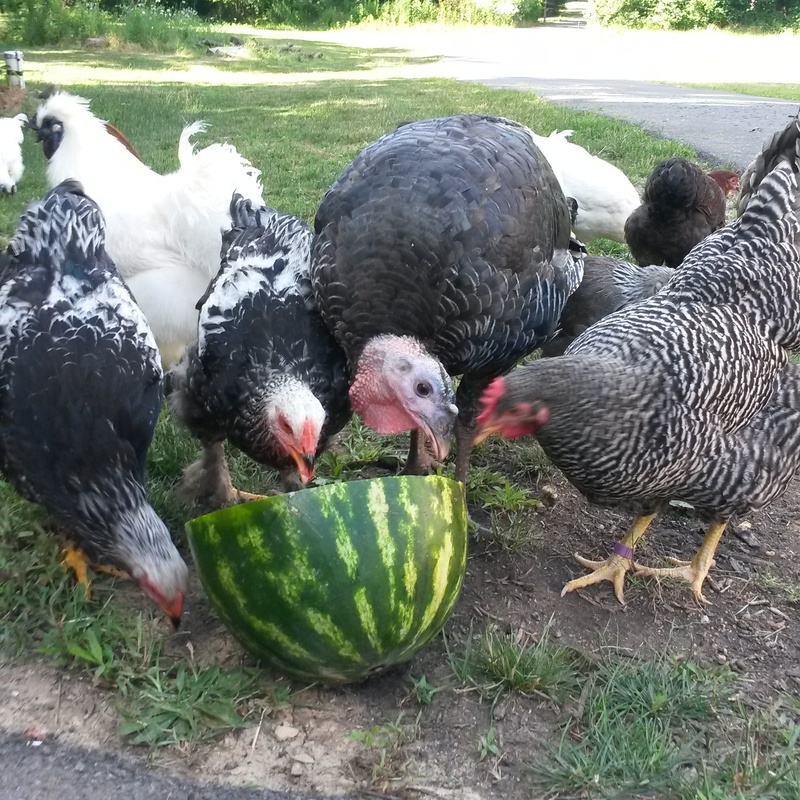 How are you keeping your flock cool this summer? After a week of being kept inside the “big house”, the tricky six were given their first taste at freedom without the security of pen walls. These six were the first chicks we obtained this season. A batch of silkies, these are certainly quite the characters. 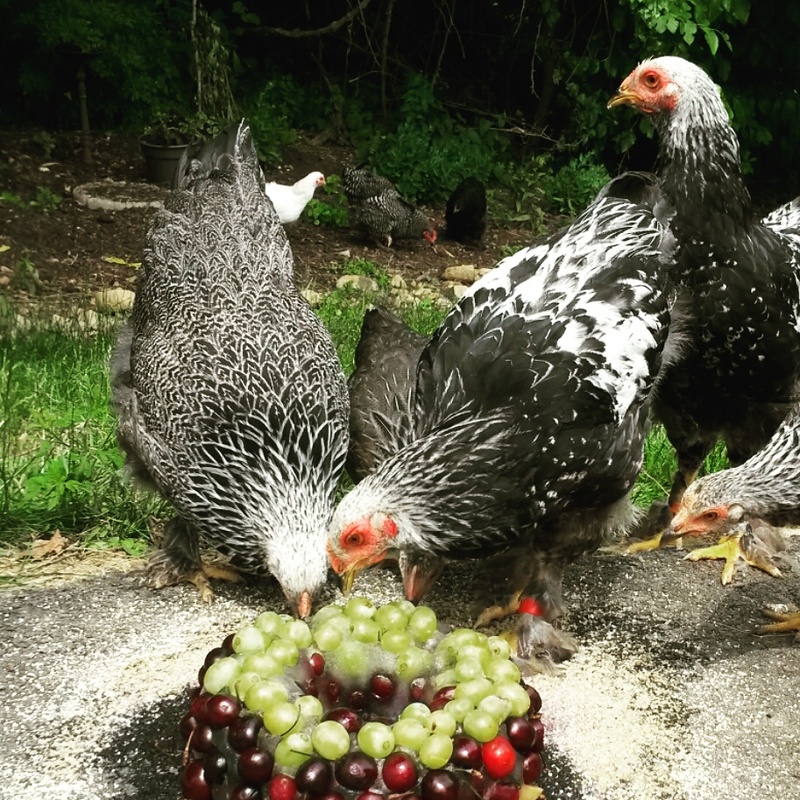 Noisy, prone to disrupting the peace, and running rampant on their distinct five toed feet – these chickens needed some more space to party forage. It took approximately 2 hours for the first chick to step over the threshold from the coop to the great outdoors. Skittish, they stayed close to the coop for the majority of the day. Our founding hens kept a close watch as did the human keepers. Looks lovely outside, we’ll just enjoy it from here. Our area is prime habitat for hawks (we lost a full grown chicken several months ago to a hawk), but fortunately none were present today. The true fun came at roosting time as it appears these birds need a few more days to realize the coop is home. They came close, but didn’t go inside when it was time to get roosting. Pearl and Nugget tried their best to call them inside, to no avail. That’s what kids are for though – chicken catching. The chicks continue to grow – fast. As evident by their voracious appetites and mobile abilities. Routinely there will be a chick on the top edge of the brooder, attempting to look innocent as we walk into the garage. As the chicks mature, they also become less willing to pose for photos. It has been such a unique experience to watch these birds lose their fluffy down and develop mature feathers. Their markings and personalities are also becoming more distinct. There is Dee Dee (the trouble maker); Bruce (the Polish with attitude); and Shirley (the runt of the flock). Gradually, we’ve been introducing several “treats” including strawberries, alfafa sprouts and bread crumbs. Flock members devour these delicacies! The heating lamp is gradually being raised as ladies require less heat too. We’ve learned in the process how important it is to maintain a raised height for the feeder and waterer – or else these rascals will have the contents everywhere! 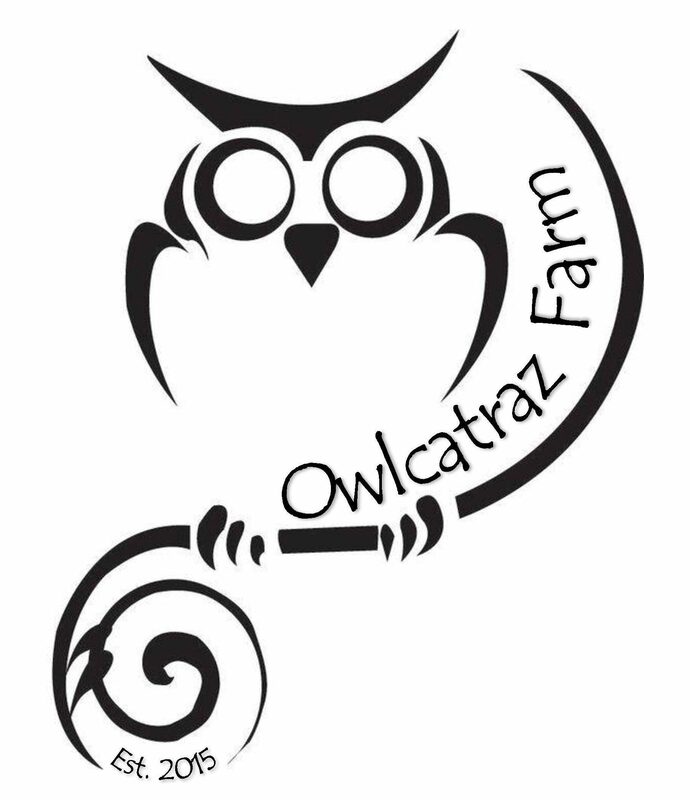 The countdown is on for the big move into the main coop outside! Brace yourself Isabelle, the chicks are coming. The youngest flock of chicks are now four weeks old. Time flies when you’re watching over these gals! Actually, they fly…In just a few short weeks, some of the bigger ones have started to take some pretty brave flights in and out of the brooder. More so than the older bantam chicks (white silkies) we have.) The bantams see perfectly content in their brooder box. Silkie Bantams are about 6 weeks old. However we refurbished a run for them outside and when the weather is nice (ie, about 60 degrees) we put them outside for the day. The pen is also covered so there isn’t the open invitation to hawks. Since the bantams have some time outside, we have moved all the younger chicks into the big brooder (converted firewood holder). They are loving the new found space! The feathers growing in on the younger birds are gorgeous and a rainbow of colors and patterns. Slowly their fluffy feathers are disappearing! Chicks will constantly kick shavings into their waterer. Prepare to clean it out often. They eat. A lot. If you plan on having more than 4-6 chicks, don’t waste time with one of those little mason jar feeders, just get a big one. Move slowly around them, or else there could be a stampede into the corner and the tiniest of the flock will end up on the bottom of the dog chick pile. Build them a little perch/roost. They will thank you for it. Also helps alleviate chick boredom.